We are less than four weeks on from the EU referendum which disrupted pretty much everything – a bizarre series of continuing aftershocks created a sense of perpetual revolution (political upheaval, endless resignations and attempted coups, extraordinary appointments – Boris Johnson in the Foreign Office! – ‘Sorry World’ someone posted on his front gate!). Some are finding it exciting but for many these are worryingly uncertain times and for all of us the horror of escalating racism, xenophobia and violent intolerance is shocking and must be addressed. Most people did not expect their small cross on a ballot paper to unleash such a seismic change and seemingly none were prepared for what would happen next. Disturbingly there is evidence from both sides that many people did not understand fully what they were voting for. The most googled URL post referendum was apparently ‘What is the EU?’ World leaders are now stumbling around in the dark because a slim majority voted to leave the EU after an unprecedented campaign of misinformation and confusion. The Scottish independence referendum was based on a 670 page manifesto whilst the EU Referendum relied on a slogan on a bus – no wonder people are confused now. The referendum result could have been treated as advisory but David Cameron precipitously resigned within 2 hours of the result leaving no plan. No-one properly talked about what would happen next and now lawyers and civil servants are getting busy trying to work it out. It is likely that an Act of Parliament will be required to repeal the European Communities Act 1972 before the much discussed ‘Article 50’ can be invoked. A legal challenge lead by lawyers Mishcon de Reya is currently in progress to confirm the constitutional processes needed. It is still possible that MPs could vote to stop the UK leaving the EU - a very significant majority of MPs were pro Remain. The serious problem is that MPs are uneasy about acting against the ‘popular vote’, however slim. There is a strong feeling that this was a vote against Westminster and the political classes. There are claims of ‘Victory for the little people’ (Daily Mail) that raise the stakes and over emphasise the weight and meaning of this result. MPs are very cautious about being accused of being anti-democratic if they vote down Brexit (which they are constitutionally entitled to do) particularly when the overwhelming message is that ‘people weren’t listened to’. The heart of the problem is that there is a lack of both quantity and quality of listening by the powerful of the powerless. We face a divided society where the loss of trust in political process and people has reached a critical point. In order to move in the right direction of addressing this problem MPs should be encouraged to Declare A Summer Of Listening. MP’s could undertake to spend a significant chunk of time during the summer recess in their constituencies engaging in a project of high quality listening (not canvassing, campaigning or surgeries - just very good listening). The time spent and the nature of conversations would be equally important. I humbly suggest that the arts world might be able to help with a summer of listening. I do not think the arts should lead this but we could do a lot to facilitate it. • The convening and communications power of What Next? groups could be useful in getting the word out across the UK. • Artists could be engaged to give expression to what is being shared (being part of the listening and creating pictures, poems, music, drama etc). The Brexit vote has exposed some deep wounds in our society. The ever-widening wealth gap has been ignored for too long. Political leaders need to properly understand people’s lives in order to address the multi-layered complexity of the problems that people face. As a wealthy, civilised, democratic society we should be able to do a whole lot better. Let’s use this time of change and upheaval to make some progress. Many arts organisations have already risen to the challenge and are running events (The National Theatre, Fun Palaces) –the most important thing is for the voices of those without power to be properly heard by those who can then implement change – MPs are crucial in this. The outcome of a summer of listening should not be prescribed at this stage but my hope is that MPs would gain a deeper understanding of the real issues behind the Leave Vote. Armed with that context they could feel a stronger legitimacy and mandate. This in turn could give them the confidence to exercise their own judgement and truly represent their constituencies’ needs in the parliamentary debates and votes ahead. There is a complex journey ahead to determine what actually happens to Brexit and MPs will need all the help they can get. And now for the real pipe dream – Imagine in the Autumn that Parliament undertakes a process of ‘hearing’ in the House of Commons, where the learning from the summer of listening is shared in an uncharacteristically non-adversarial way - no shouting, no point-scoring, no accusations, no boasting, no lying, no exaggerating - just listening and learning. We need to find a new way of doing things and we can build it on the human skills that we already have. Write to or speak to your MP suggesting** a Summer of Listening** and offering to help. If you have space, skills, contacts or relationships you would like to share get in touch with us or your MP. If you are doing something that you think connects with this – let us know. 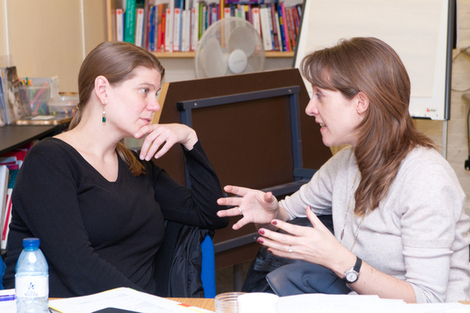 If you attend a What Next Chapter – discuss how you might engage in a Summer of Listening. I am sure you can easy to understand this process,sometimes many users try to connect bluetooth headphone in window 10 fix bluetooth audio devices connections in windows 10 mobile it is very simple process,so friends using this method and following tips step by step. The point of view of those left on the margins of the European project, Brexit is a chance to return to the planning phase, Write My College Paper For Me and to contemplate Europe's outstanding divisions. It is a difficulty that goes to the simple heart of the inquiry regarding the European identity. Healing the Brexit is not the worst of things to do as it can take us to something called https://www.bestbritishwriter.com/uk-bestessays-com-review/. If things are going the way that people want, then it's going to be amazing. So did you know that merging pdf files is as easy as uploading it to a website called https://altomergepdf.com/. It does all the conversion for you and gives a complete files.